How did we get so far into the year already? I’ve had so much on this year with home rennovations and a new job that I never find any down time to post to this blog. However, I feel a bit of a routine returning to my life …even though I should be in bed by now (not use to being back into full time work!!). Anyway, I did manage to do some sketching over the last month, how? I don’t know. 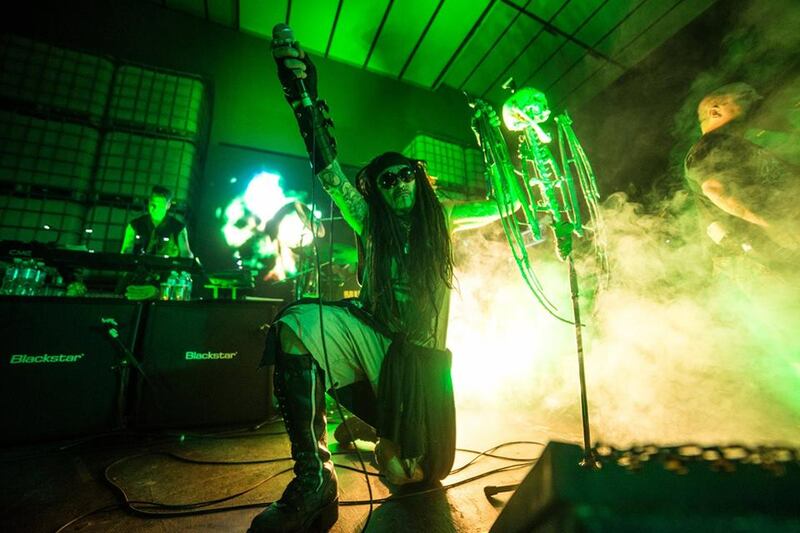 On impulse I bought tickets to see American industrial metal rock gods Ministry. I do have one of their albums but hadn’t followed them intensely, though from previous experience I know bands like this are really good live. They were puh-lenty awesome, releasing the closet metal head in me, however its music not for the timid or pure of heart. The venue was the Metro – my favourite live music venue. It’s intimate, the sound is good and doesn’t matter where you stand as everyone can see. 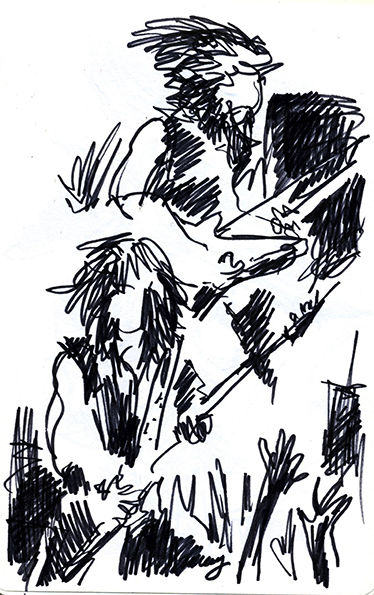 Perfect not just for headbanging but for sketching. 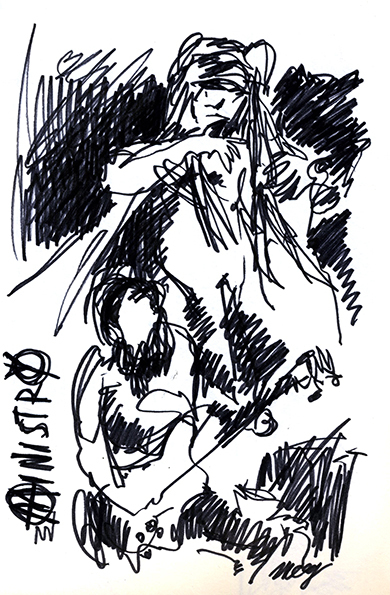 I took a black Artline 0.8mm pen possibly inspired by their sound and look, and I tried a scribbly drawing technique which is as soon as the pen hits the paper you scribble like mad, a motion similar to tapping your fore-finger really faster – just short jabs across the page and never lifting the pen off. It’s a very free flowing style and creates wonderful texture. I was told it might have been the farewell tour, I hope not. But glad I managed to see them. I feel its important to include an image of the band here just to validate my drawings of Al Jourgensen (singer) as not a figment of my imagination but that he actually looks like that. 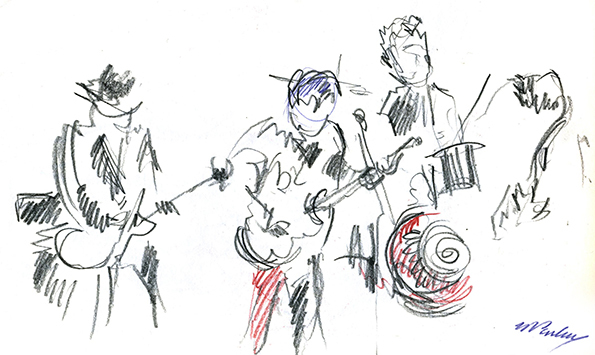 A band like this is so much fun to draw – their look is very graphic and physical input on stage is ferociously animated. About a week later I saw two Australian bands that I have so longed to see since I was a teenager. I was too young to see them in the 80s during their primo years but thankfully they have started to play reunion gigs and I managed to see them at the Enmore Theatre. 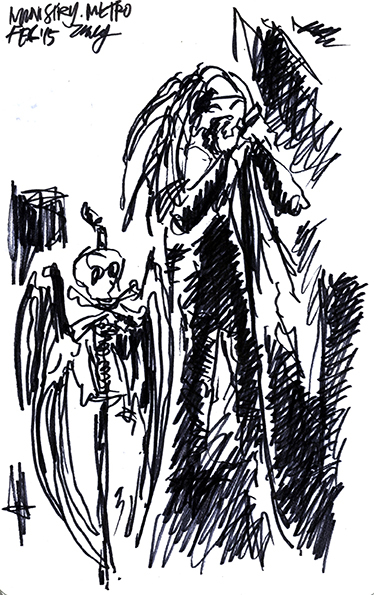 Admittedly this time round I was having too much fun dancing and singing along so didn’t get any decent sketches done. That and being compressed in by loud and drunk 50-somethings who obviously got the night off from their kids and were going hell for leather to have a great night, to my amusement some of them were wiped out by 10pm. 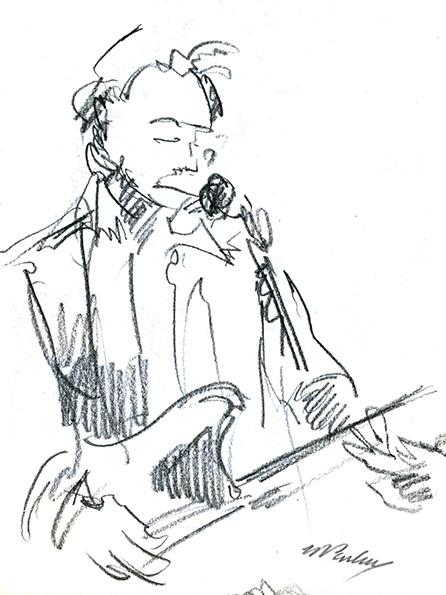 When the Sunnyboys came on I was further away from the stage I couldn’t pick up much detail so I tried some blind contour drawings and shade only sketches.